NEW ORLEANS - Energy Smart and Green Light New Orleans are teaming up to offer money-saving, energy-efficient light bulbs to Entergy New Orleans customers - completely free of charge. 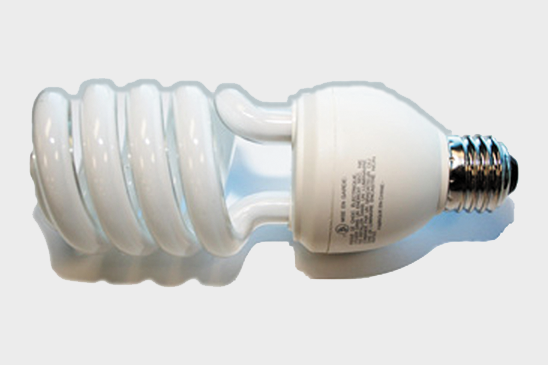 Compact fluorescent light bulbs typically use less energy than standard incandescent light bulbs, which can help Orleans Parish customers save on their monthly utility bills. In fact, ENERGY STAR-qualified CFLs use about 75 percent less energy than incandescent bulbs and last about 10 times longer. Entergy New Orleans customers who are still using incandescent bulbs and have not already made the switch to CFLs are eligible to receive the free replacements from Green Light New Orleans, an organization that has brought sustainability to individual homes by installing energy efficient light bulbs, backyard vegetable gardens and rain barrels. For information, visit the Green Light New Orleans website or call 504-324-2429. The bulbs will be distributed on a first-come, first-served basis while quantities last. Developed by the New Orleans City Council and administered by Entergy New Orleans, the Energy Smart program helps New Orleans homeowners, renters and business owners save money by offering rebates and incentives for qualified energy-efficient improvements to their homes and businesses. To learn more, visit energysmartnola.com or call 504-229-6868.